7 потребители разглеждат това място за настаняване в момента | 3 туриста са резервирали днес. 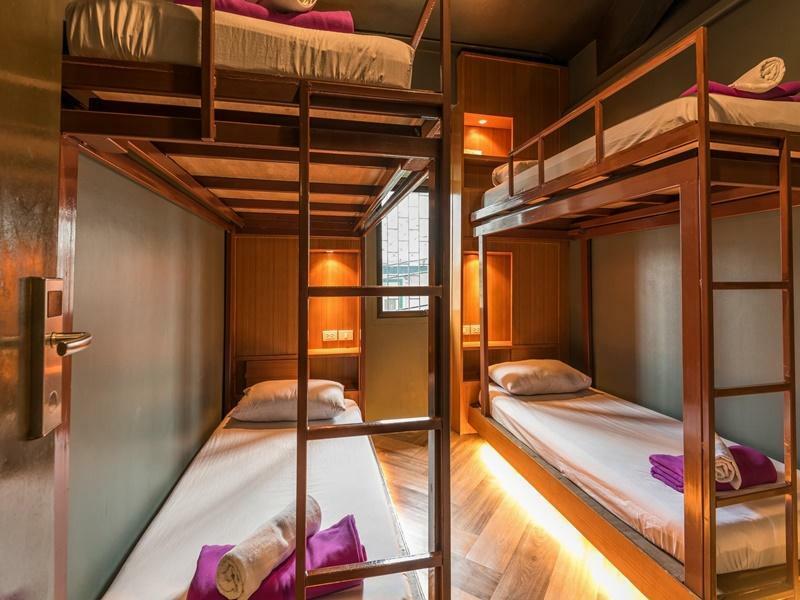 Имате въпрос към Loftel 22 Hostel? При посещение в Банкок, в Loftel 22 Hostel ще се почувствате като у дома си, защото предлага квалитетно настаняване и отлично обслужване. Хотелът се намира на 2 km от центъра на града и осигурява достъп до важните места на града. Добре поддържаната околност и доброто местоположението в близост до Fashion Galleria, Талат Ной, Църква Свети Молитви са част от специфичния чар на този хотел. Съоръженията и услугите предлагани в Loftel 22 Hostel гарантират Вашия приятен престой. Този хотел предлага множество удобства, за да задоволи и най-изискания вкус. Като допълнение всяка хотелска стая предлага широка гама от удобства. Много от стаите са с уелкъм дринк, спално бельо, шкафче с ключ, хавлии, достъп до интернет (безжичен), за да удовлетворят и най-изискания вкус. Хотелът разполага с множество уникални възможности за отдих, като например масаж, игрална зала. Каквито и да са поводите за Вашето пътуване,Loftel 22 Hostel е най-доброто място за престой, което можете да изберете в Банкок. a nice place and not so far from the terminus railstation. well situated. really clean and the housekeeping is really good. about the reception and services/advices not the best. but really nice staff . recommended for a short stay. 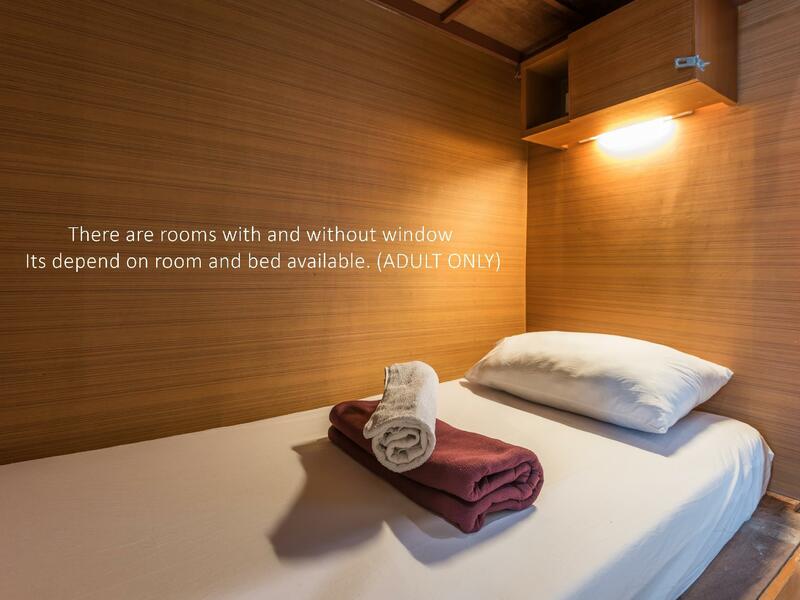 I've book for the twin room which is bunk bed style, room was bigger than I expected. The staff is nice and always at the station for helping. However, the wifi is very slow and not easy to connect. The a/c in the room is very hot, even I turn it to 17 degree, but it's not help. There is a group of people sit in front of the hotel, I thought they are not the guest/customer, feel uncomfortable. Room was tidy though I thought it was too dim. There were washrooms and showers on every level so no need to worry about availability. Location was alright, about a 15 min walk to chinatown. We were able to keep our luggage in the lockers before check in and after check out. Remember to bring your own padlocks. 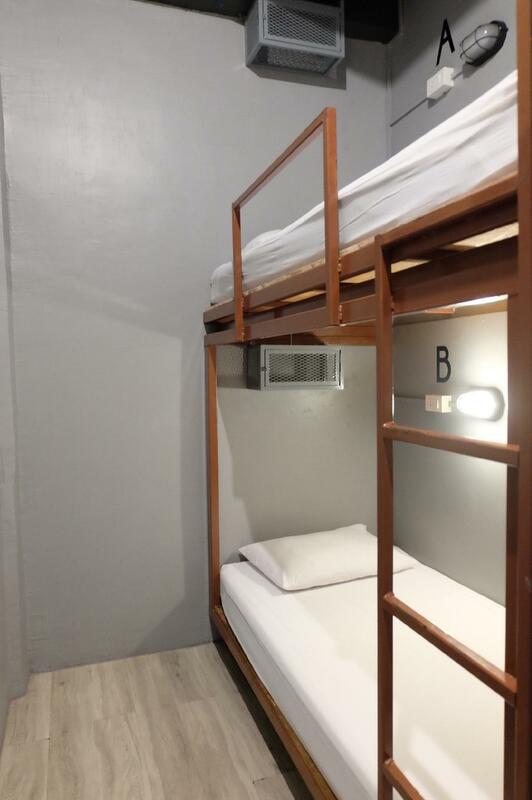 Good location.. Only a few minutes walk to MRT or Chinatown. We liked our room! It was clean and comfortable with industrial interiors. The toilets were also clean. They have a computer you can use for internet and they also have a self service washing machine and dryer downstairs. There's also a cafe at the lobby. The staff was really nice. They were helpful with tours and were to find something to eat and always had a welcoming smile for us. Everything is perfect there! The location is amazing closed to where we wanted to go and its quiet. It is near to the Main Railway Station . Good coffee and restaurant. The staff was amazingly suportive. room is clean! Shower room and rest room are clean too. Anyway, We got a private room at level 5. There is no elevator. Everything are fine. The location of the hotel is great and there are many shops and restaurants nearby. Staff are not friendly and not helpfu ( Boys in reception at day) but Girl at night very friendly. . The hotel is very new and is located in a great location. 7-11 . 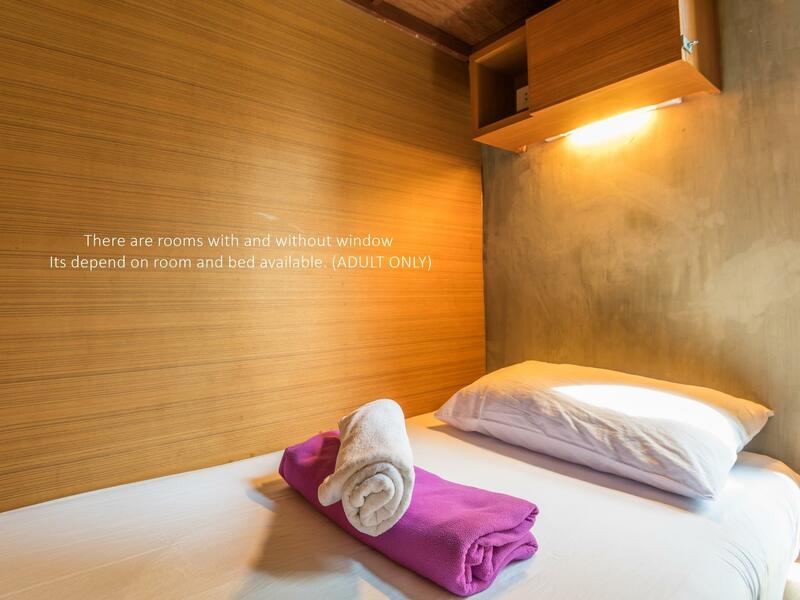 Family mark and within a few min walk you can reach HUA LAM PHONG station BUS river station. The room is cozy and comfortable. would be happy to visit this hotel again when I come to BK if I check dont have a boy in reception WOW????. 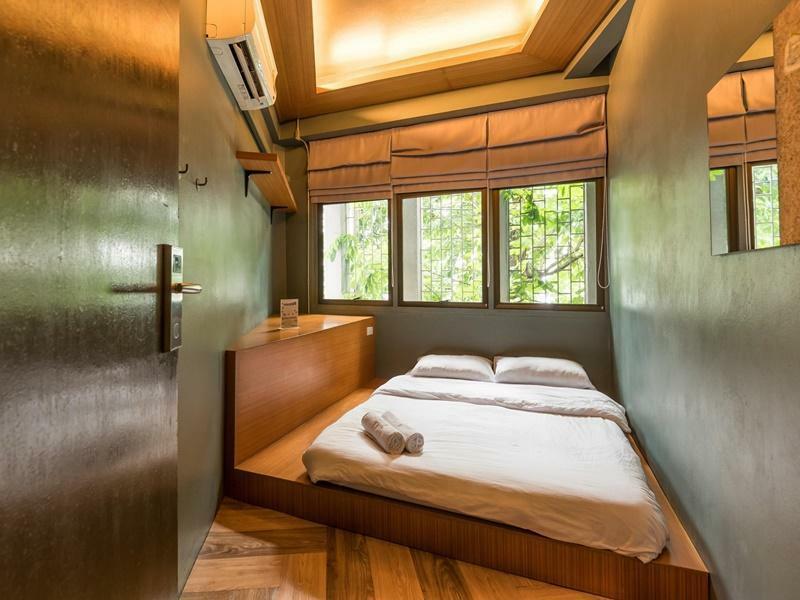 I stayed here twice during my time in Bangkok, walking distance to mrt Hua Lamphong, if you are too tired to walk you can take tuktuk for 60-100baht. I love the concept of this place, but the dorm room is quite small because I have stay in a bigger dorm room before this. But overall it is okay since I just bring a backpack with me. Got a cafe and seven eleven beside this hostel. Loftel 22 was cute, the staff were nice and the restaurant downstairs was a good place to hang out (some of the food was kind of subpar). 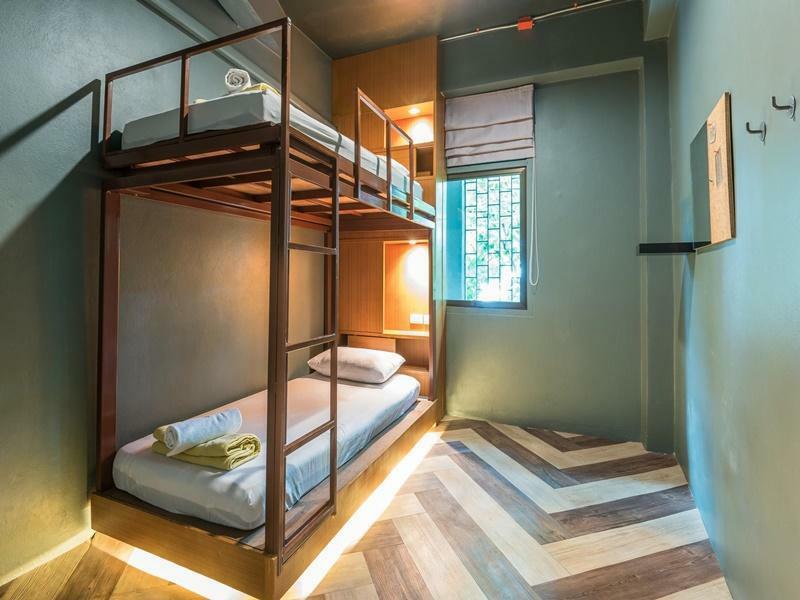 This hostel was located in an area that didn't have very many tourists, which was kind of disappointing as we were looking to meet people, but is located very conveniently near a metro station and very close to Chinatown. Room is clean, bed is comfy, but the space is limited. You can't put many stuff on the floor to pack. They got towel, hot water for showing, bathrooms were clean. One point I doubt about is the water. I asked them to refill the water and they got in where I can't see (a little shady) and I am not sure they refill with tap water. My stomach is a little bad while staying there. After then I bought bottled water. The place is located close to the Train station and China Town. Friendly staff and safe feeling in the middle of a busy neighborhood. Its quite noisy in the midnight. Got awake few time because the noise too loud outside the room. Overall still okay. So far everything okay, it just the sound proof in room not really good. My boyfriend and I had a great stay in a private room. 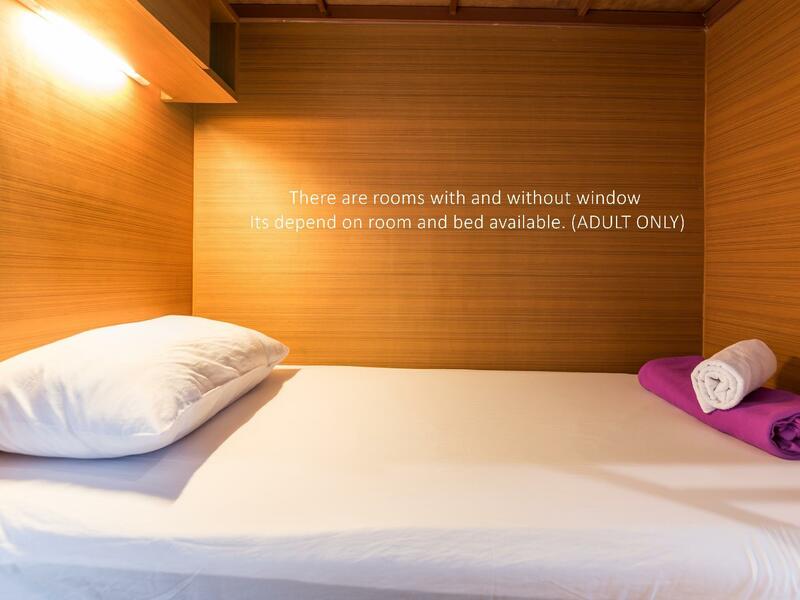 Really clean facilities, fine size room, small but perfect for a budget traveller. Great breakfast in the downstairs cafe was a pleasant surprise. Good location near train station. Really nice staff, let us keep our bags locked up after we checked out. Good wifi. Only tiny downside was pretty hard bed. 1. near to majority of attractions in bangkok 2. just book a car/taxi using "Grab Apps or Uber" directly to your preferred destination. or book it to Hua Lamphong MRT(30baht) and take MRT to your destination if you are 1 or 2 person travelling, it will be cheaper. 3. food late at night. I only able find the 7 eleven beside, other closed around 12am. 4. the female lady is great. and the good thing is the lobby is bright always and there will always be somebody in there, so you don feel scary. 5. room not big but it is enough and the design is cool. 6. every morning, some staff will be cleaning the building. 7. definitely will book here again next time. Had a good stay here with my friends. Easy access to food and chinatown is a few minutes away. Price very reasonable. No elevator though so best to select rooms at the lower levels ours was at the 5th floor but would still come back next time.